Runners, and other athletes for that matter, require additional protein in their diet compared to their sedentary counterparts. Protein is essential in repairing the muscles which break down when working out. To compound this problem, many people have adopted vegan or vegetarian diets. This makes it very difficult to include a full range of proteins or amino acids on a daily basis. 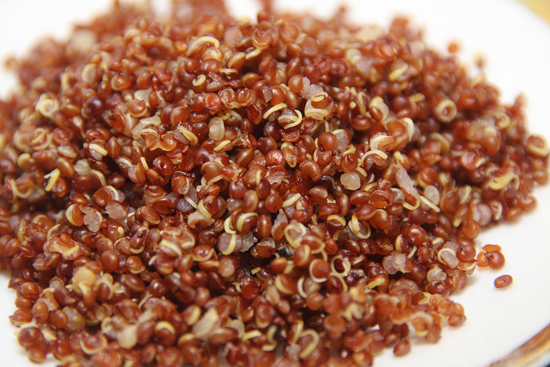 One of the easiest (and tastiest) methods to add essential amino acids into your diet is to consume organic quinoa. This supergrain (pronounced keen-wa) is becoming widely recognized as a super food by athletes, foodies, and others. Quinoa (Chenopodium quinoa, or goosefoot) is in fact not really a true cereal grain, but a pseudo-cereal; it is a food that is cooked and eaten like grains and has a similar nutrient profile. But from a botanical point of view, quinoa is closer to beets, chard, and spinach, and in fact the leaves can be eaten as well as the grains. This is an easy to cook food that can be eaten alone or in many dishes. It has been traditionally grown in the Andes mountains in South America. For quite a while in the past production wavered as the invading Spanish conquistadors compelled the indigenous Inca Indians to grow potatoes instead. Lets consider its nutritional value. Although there are several varieties, they average an impressive 16.2 percent protein. As a comparison, rice averages only 7.5. It also contains an impressive amount of Lysine (398mg), folate (19% RDA), thiamine (13%), mManganese (58%) and vitamin B6 (11%). Additionally, it ranks 35 on the glycemic index. Compare that with basmati white rice at 58. A lower ranking means slower-burning making it a natural choice to fuel endurance sports, like distance running. Why is Lysine Important for Active People? This grain is easy to cook; most varieties only take 10 to 20 minutes to cook. Just combine a 2 to 1 water/quinoa ratio. First ring the water to a boil. Eat it by itself or add it to a salad. It is also very adaptable to baking. 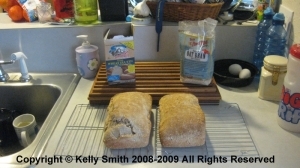 For example, as an ingredient when baking bread (see the link to the recipe in the link section below). Should You Steer Clear of Genetically Modified Food?